"Thank you for a very prompt and speedy service. My screen arrived on Monday morning and was fitted 1 hour later and off out on the bike for a run, I was VERY impressed, the wind noise is greatly reduced, also the buffeting, I can now hear my phone when it rings." 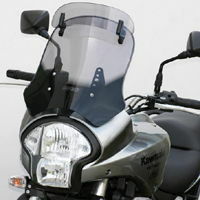 "I have MRA Vario Touring Screen, and I'm very pleased... Quite often travel on highways at high speeds, most of the airflow passes over helmets. Turbulence and slapping on the neck and back are now past." 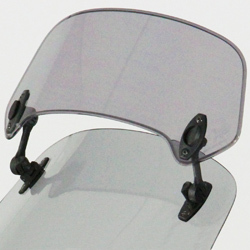 !quote, 54268, 4025066121953, windshields, wind, shields, windscreen, motorcycle, motorbike, sportsbike, vision, vario, touring, screens, vario-screens, vario-shields, gray, grey, tinted, smoked, 06, 07, 08, 09, 2006, 2007, 2008, 2009! Quick, simple, right product - what more can I say? Excellent item, great service and good price. good comms,quick delivery, highly recommended! 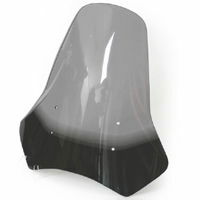 !quote, 57810, 4025066129638, windshields, wind, shields, windscreen, motorcycle, motorbike, sportsbike, vision, vario, touring, screens, vario-screens, vario-shields, gray, grey, tinted, smoked, 06, 07, 08, 09, 2006, 2007, 2008, 2009!